Our primary focus and interest is collecting comic books. ECCC was great for us because we’ve never been to a show in the Pacific Northwest before, so most of the comic book dealers were completely new to us, which we loved! We attend so many cons in California that we’ve gotten to know most of the dealers and see them at every show, so being able to hunt through collections we’ve never picked through was such a delight – we managed to snag some good deals and fill gaps in our collections. There were also a lot of dealers, which we loved because it showed us that the core of the show is still very much rooted in comic books. As opposed to, say, toys and video games. There was also good representation from comic book publishers – but no Marvel or DC, which was a good thing. The Big Two typically save their presence for SDCC and NYCC, and that’s great for other publishers like Image, Boom, Dark Horse, Oni Press, Valiant and IDW because they don’t have to compete against them. All of these publishers had a presence at ECCC and it was great to see them promoting new books and the more casual attendees were forced to check them out simply because Marvel and DC weren’t there to steal the show. This has been my favorite Artist Alley I’ve been to, period. Artist Alley is the part of a comic con expo hall where creators (writers, illustrators, colorists, inkers, etc.) set up tables to promote new work, sell artwork, take commissions and meet with fans. At many cons, Artist Alley is a small fraction of the expo floor, or it’s simply too small for the size of the con. 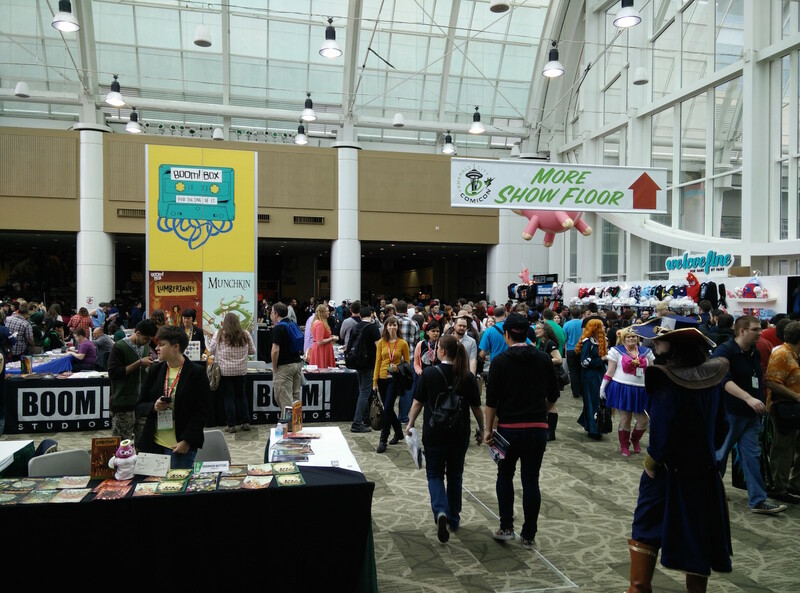 At ECCC, there were so many Artist Alley tables that it got split up between two main rooms! 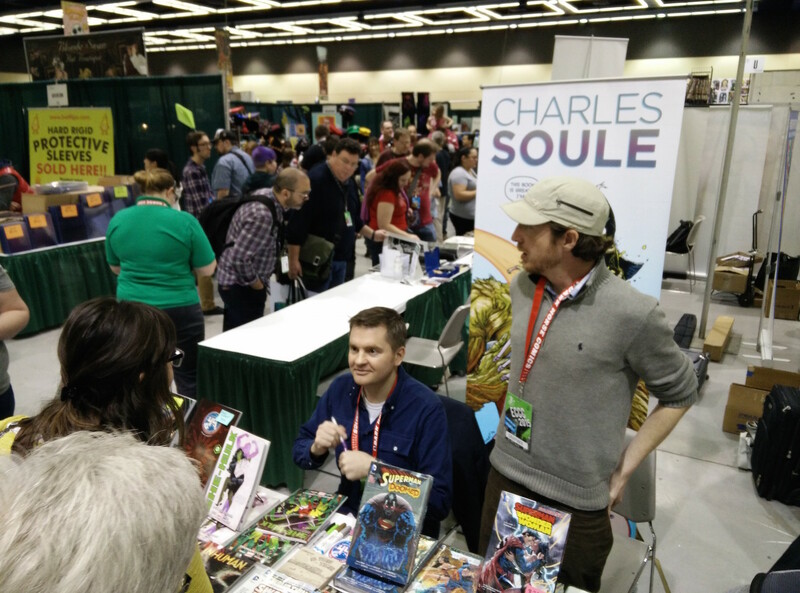 This is a very clear signal that ECCC is still about comic books and creators, and I loved it. SDCC has a gigantic Artist Alley as well, but there are just so many people that it’s near impossible to get on anyone’s commission list or simply even make it to their table to chat or buy something. The balance between Artist Alley tables and attendees was perfect – there were a lot of creators and no table was too busy to stop by. Chloe Bennet, aka Skye on Agents of S.H.I.E.L.D. There was a full schedule of panels and workshops that was very diverse, covering comic books, tv & film, gaming and all things pop and geek culture. 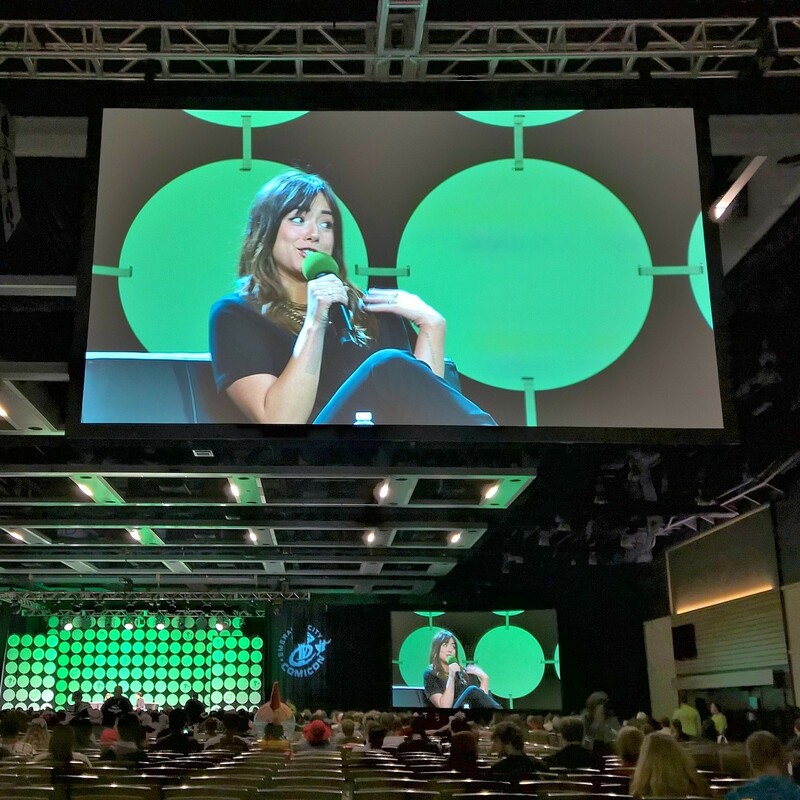 There was likely something for everyone, but we focused mostly on attending the Main Hall sessions, which featured celebrity guests. 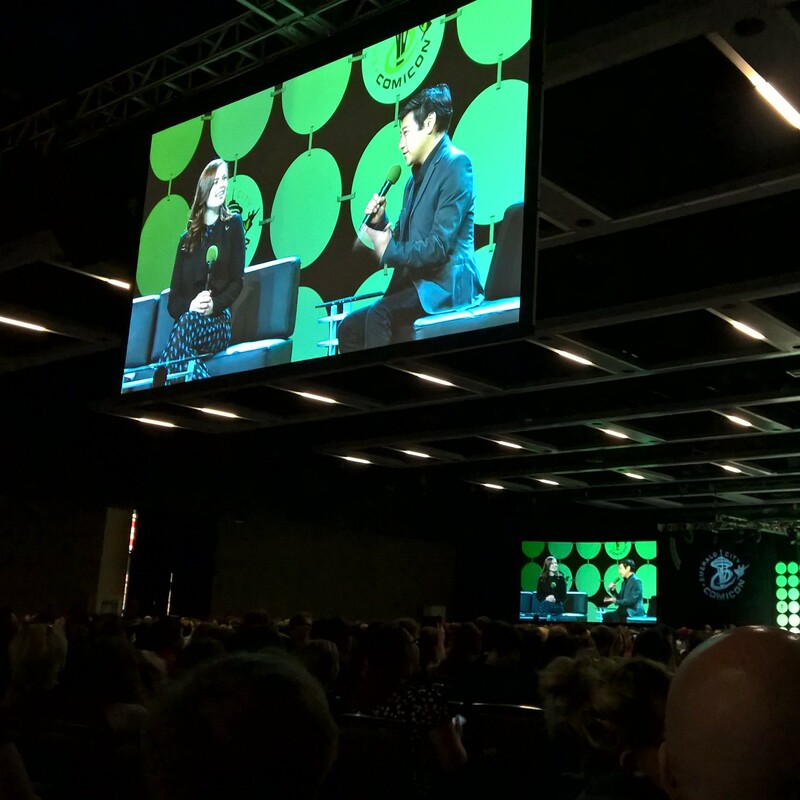 We managed to attend panels for Gina Torres and Jewel Staite from Firefly, The Lost Girls, Stan Lee, Anthony Mackie, John Barrowman, Chloe Bennet, Clark Gregg and Hayley Atwell. The best part? We didn’t have to camp out or wait in any lines! It was very easy to stroll right into the Main Hall a few minutes before the panel you wanted to see. Only in a couple cases did we have to stand in the back, but all other times we were able to get seats with ease. As a regular SDCC attendee, this was a dream come true! Cosplayers came out strong and represented their favorite characters and franchises all weekend. We saw some really great costumes, especially at the costume contest. 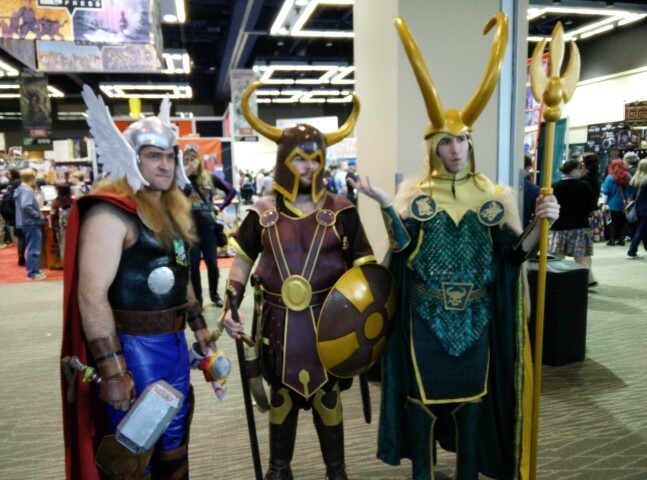 Check out our Cosplay Roundup! We’re definitely gamers here, but of the video game variety, not so much tabletop or collectible card games. However, we did pick up a couple Dice Masters sets out of curiosity and learned to play! An entire floor was dedicated to gaming, which worked well because anyone who was interested in gaming had a separate space all to themselves, and anyone who wanted to learn more had a very clear area to visit. We decided to check out the gaming floor and visited a few vendors, and watched a few games being played. Who knows, maybe we’ll be spending more time in gaming lounges at other cons now! Overall, Emerald City Comicon was a great show and we had such a wonderful time because we were able to accomplish so much. We bought comics, met creators, got commissions, watched panels, played games, bought artwork, got signatures, took photos of cosplayers and it never felt too stressful. There were lines for some things, but in general, if you wanted to do something, you could. A 3-day pass is $85, which is very affordable compared to some cons, so it won’t break the bank if you don’t have to travel too far. Seattle is a wonderful city (aside from those pesky Seahawks – ain’t nothing finer than a 49er!) 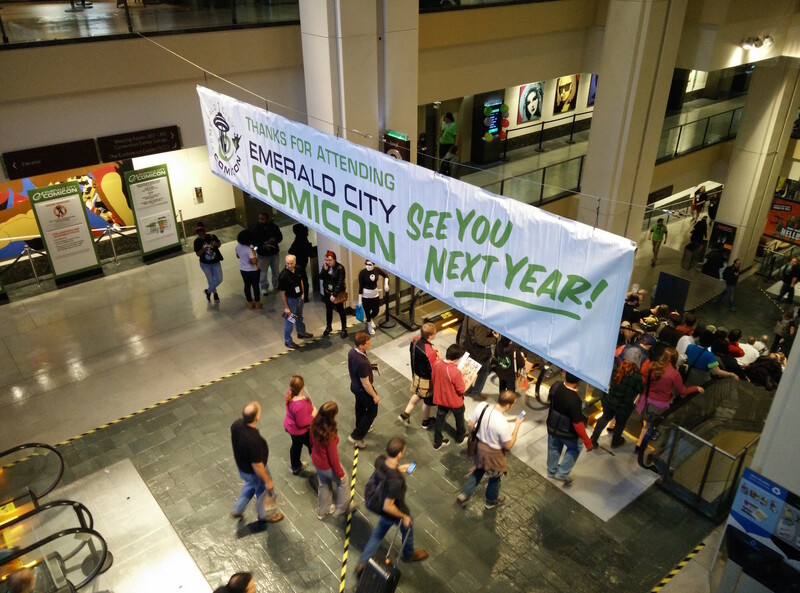 with nice people and a vibrant comic book and geek community – we felt right at home. Yes! 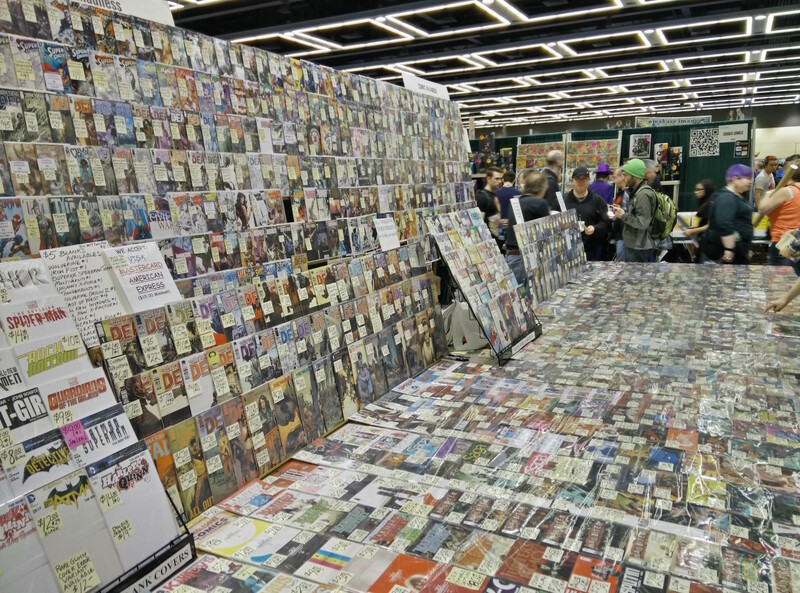 ECCC definitely gets “shortboxed” as one of the premier comic book conventions that we would recommend to anyone. It’s a “mega con” that’s still accessible, unlike SDCC or NYCC. We may not be able to attend every year since we have to travel up from San Francisco, which means flights and hotels, but we would if we could. If you’re located anywhere near the Pacific Northwest, there’s no reason to miss this show. If you’re a bit further out, it’s still worth a trip over, just be sure to add a couple days to get outside and enjoy the city of Seattle!